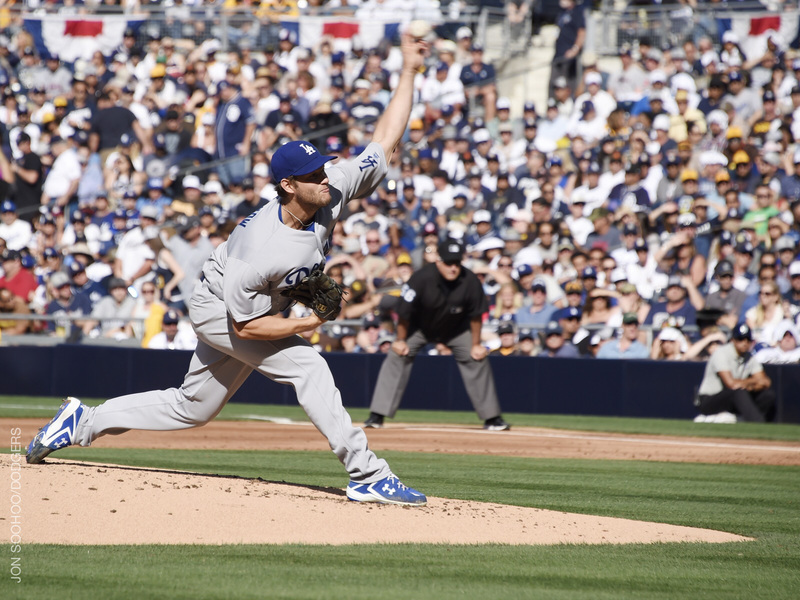 Kershaw, who was removed after 96 pitches and nine strikeouts, came tantalizingly close to an Opening Day perfect game. His walk, to Yangervis Solarte in the second inning came after a 2-1 check swing was ruled a ball. The hit, by Jon Jay in the third inning, came on a calmly hit ball that left fielder Carl Crawford never saw in the dusk before bouncing into left field. Kershaw retired the last 13 batters he faced. His career Opening Day ERA went down to 0.93, approximately one-hundreth worse than MLB record-holder Rick Mahler. “Whether Crawford could have caught that ball that was hit by Jon Jay we’ll never know, but it stands out now like a missing front tooth,” said Vin Scully, beginning his 67th season with the Dodgers in vintage form. To be fair, Kershaw also benefited from a hard smash in the fifth inning by Solarte that went directly into the glove of third baseman Justin Turner’s glove. He also wasn’t locating in ideal fashion at the outset, with only 14 of his 27 pitches in the first two innings going for strikes. 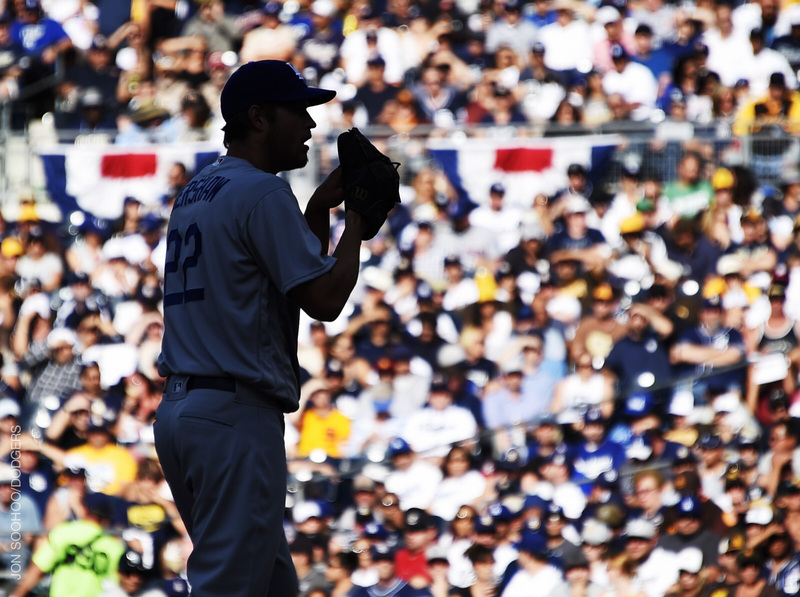 But rather than parse the perfect game possibilities, it’s more than sufficient to bask in the glow of Kershaw’s grand beginning to another season. Kid K or El niño de oro! Some great vocabulary in this post, Jon! âGaucheâ; âgloamingâ etc. Iâll have to work these into a broadcast.